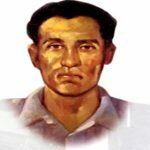 Hamidur Rahman was a freedom fighter of Bangladesh Liberation War. 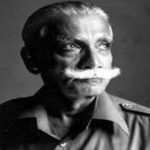 He was awarded highest recognition ‘Bir Sreshtho’ of the Liberation War of Bangladesh for his outstanding contribution in the battle field. 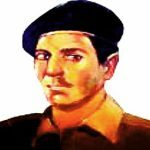 During the liberation war, he was associated with the sector 4. 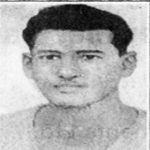 Rahman was the youngest among the seven Bir Sreshtho as died at only 18 years old. Hamidur Rahman was born on February 02, 1953, Khardo Khalishpur, Moheshpur, Jhenaidah to father Abbas Ali Mondol and the mother Most. Kauysunnesa. He studied at Khalishpur Primary School. Later Hamidur studied a little at a night school. His family came to the Bangladesh during the Partition of India in 1947 left properties in India. They settled in the bordering area of Khalishpur. 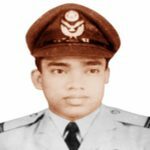 Hamidur Rahman kicked off career journey as a sepoy in Army in 1970. During the liberation war of Bangladesh, he came to his own village. 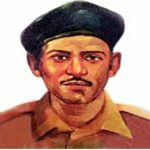 Later a day from his home, he set out for Dhalai Border Outpost at Srimangal to join the liberation war of Bangladesh. He fought in sector 4. In October 1971, Hamidur took part in an operation to capture the outpost of Dhalai Border. On October 28, 1971, Mukti Bahini took a decision to a grenade attack on the machine gun post of Pakistan army. 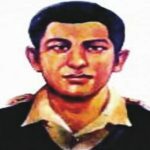 Hamidur Rahman was given the job to launch the grenade. Two grenades successfully attacked the machine gun post, but soon after he was shot. In that condition, he went to machine gun post and started war two soldiers of Pakistani Army. In this way, he was able to invalid the machine gun post. On this chance, the freedom fighter of the East Bengal Regiment proceeded with great enthusiasm and captured border outpost overcoming Pakistani Army. But Hamidur could not take the taste of victory, fighters rescued his dead body after captured the outpost. Just a few miles away from the border, he was buried in a family graveyard of Hatimarechra village in Tripura state. Once, the graveyard was flooded under the water. On October 27, 2007, the caretaker government of Bangladesh decided to bring the dead body back in the motherland. Accordingly, a team of Bangladesh Rifles took Hamidur’s body at Tripura border with due dignity the martyr’s body brought through the Bibirhat border, Comilla to Bangladesh. Bir Sreshtho Hamidur Rahman was buried at the intellectual graveyard in Dhaka on December 11, 2007. Hamidur Rahman’s won village Khardo Khalishpur named after him. 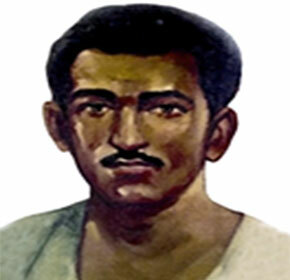 A primary school in his village and stadium in Jhenaidah also named after him.